November 20, 2018: With Thanksgiving just days away, one could only imagine the issues if the rare November ice storm last week hit this week instead. The worst ice storm for North-easterners since 2015, the storm caused power outages, messy travel, and unfortunately a few deaths. If this was any sign of the year's upcoming precipitation, you'd better be sure to get that snow blower now so you're ready to plow those inches (and maybe feet!) of snow we'll see. February 9, 2017: Winter storm Niko is battering the Northeast today with accumulations ranging from a coating to a foot and a half. Worst hit is the coast of Maine, but NYC, Philly, Boston and other cities and towns throughout the Northeast are getting significant snowfall. October 27, 2016: Okay ladies and gentlemen, here we go.... some parts of the Northeast are set to get up to 10" of snow overnight! Most affected will be Northwestern Maine, where this will likely be a heavy wet snow... that's JUST the kind of snow that can break your back (or worse - kill you) if you attempt to shovel it. Now is the time to start shopping for a snow blower if you don't already own one! January 21, 2016: Well, if you've been holding off on getting that snow blower due to the record warm winter we've been having, approaching Winter Storm Jonas might have you searching for a new or used one today. Predictions are grim. Snow fall predictions range from 6" to more than 2 feet from Kentucky to New York, with the bulls eye looking like the Baltimore-D.C. area. Be prepared, stay safe, and make sure you have the equipment you need to easily dig out! November 21, 2015: Midwest storm Bella has dumped up to sixteen inches of snow in places like Moline, IL, while South Dakota recorded amounts up to a foot. Get ready folks! Snow is on its way to a town near you! August 23, 2015: Well, it's official... the nation's first snowfall of the season... in AUGUST! Northwest Montana had snowfall that blanketed the northern Rocky Mountains, and as far south as Glacier National Park. July 31, 2015: Much of the nation is in the midst of a heat wave - the Northeast is especially brutal right now. It's tough in this heat to think of snow blowers, but you would do yourself a favor by shopping now, while the demand is low and there are still some leftover models available... Not to mention used ones sold both privately and through smaller retail outlets. While you wipe the sweat off your brow, keep in mind you'll be shoveling (hopefully snow blowing!) in just a few short months...! November 1, 2014: We had record early snowfall in the Carolinas this morning! Around 2" fell near Greenville, SC, while close to 6" covered Asheville, NC. Other parts of the country saw the white stuff today too, including 10" in Presque Isle, WI, and a whopping 2 feet on Mt. LeConte, TN. September 4, 2014: Okay folks! We've gotten our official first snowfall of the season - yesterday! Yes, it happens to be in Barrow, Alaska, but it was almost 4 and a half inches, which tied the third heaviest September snowfall in Barrow. An omen of things to come for the rest of us....? January 6, 2014: Winter storm Hercules dropped big snow totals across the Midwest and Northeast this past week. Snowfall totals topped 2 feet in some areas and 17 deaths were blamed on the storm. This winter has already made up for the relatively care-free past 2 years. Most of the nation is now bracing for record low temps. Many areas in the midwest and northeast will be well below zero (temps) with wind chills in double-digits below zero. This is a good time to remind all to not procrastinate on snowblowing when the white stuff falls, because with temps like these, you're going to be looking at piles of ice - and you'll be better off clearing it with a pickaxe! September 10, 2013: Well, Fall is here and if we're to believe the Farmer's Almanac, the upcoming months of late 2013 and early 2014 are going to bring a frigid winter with extreme cold and, yes... heavy snow. The validity of the Alamanc's predictions is questionable, but one thing is certain: with the past 2 winters being mild by all measurements, the law of averages says we're due for a doozy. Better to be prepared than snowed in (or in the ER with a broken back)! Do your research and choose the snow blower that fits your needs. Navigate to the reviews and come back often as they are updated regulary. Well, other than a freak May snowstorm in the Midwest, the winter of 2013 has gone down in the record books as another relatively mild one. Good deals on end-of-season new and used snowblowers were definitely out there (and some still are!). There are two trains of thought regarding the winters of the previous 2 years... one is that global warming is real and we are seeing it in more mild winter temperatures, and the other is that this was just a random event where two winters in a row were mild. We will have to wait and see what 2014 brings... I say better to be prepared than to be sorry... stay tuned! Fire up those snow blowers and let them do the hard work clearing the way! January 2, 2013: Well, "Frankenstorm" Sandy did plenty of damage to the Northeast coast. If there is any consolation, maybe it's that Sandy wasn't all snow. Don't misunderstand - there was some significant snow dropped by Sandy, but it was mostly in the higher elevations. Garrett County, MD received over 2 feet. Davis, WV was also hit with over 2 feet. Charleston, WV had around 10". 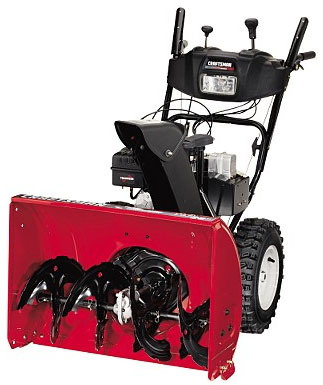 Now, as we start 2013, temps will continue to drop, providing the right environment for bigger snow storms and more widespread accumulations... no better time than now to find that perfect snow blower... at the perfect price. Check back often as more reviews are added weekly! 2012 Recap: Last winter was officially one of the mildest ever recorded. Snowfall was much lighter than normal nationwide. Snowblowers didn't get much use, and fewer were sold than prior years. If you didn't take advantage of buying from the excess inventory of new and used snowblowers at lower prices toward the end of last winter, the clock is ticking... even though temperatures in 2013 have been relatively mild again so far, predictions are that this winter will make up for the mild one last year! So, I hope that you will use the information and reviews on this site to find that perfect snow blower... and if you're in the market for one this season, I hope you find your deal before the first big snowfall hits! 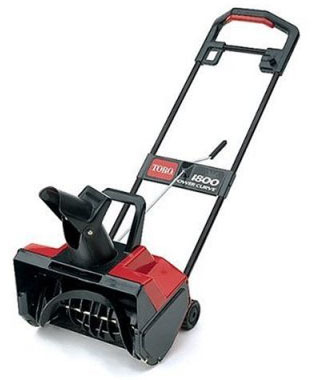 This site was initially created so that I had a place to more easily research, compare and review various snow blowers. Hopefully you'll find it informative while doing your search. First, some history: the snow blower - sometimes written as one word, snowblower, or called snow thrower - was invented by Arthur Sicard, a Canadian (that shouldn't be a surprise!) in 1925. 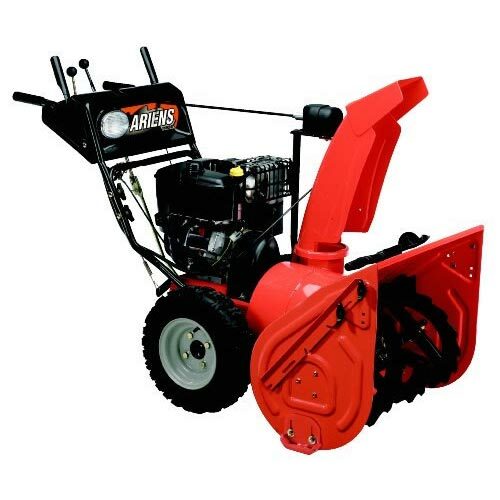 Since then, many different types and styles of snow blowers have been developed and sold. Unless you have a small driveway and sidewalk, I'm going to assume that you are searching for a gas powered snow blower. I've also written about electric snow blowers, which you can research through other pages on this site. The first place that I'd recommend is asking around. Some people don't like to buy things from friends or acquaintances due to the fact that it would make them feel uncomfortable if something goes wrong. I, on the other hand, would prefer to buy from someone I know or from someone they know. Specifically, someone that I know has done the proper maintenance. If you have one of those friends that baby everything they buy, keep up with the maintenance, and keep it in good working condition, I think it's a no-brainer that they would be best place to buy a used snow blower. If I can't buy from someone who I know and trust, and if local dealer's used inventory is too pricey, I'd say that my next choice is to buy from someone online. I usually skip the classified newspaper ads and go right to online resources. I have always been able to find the best deals (with regards to saving $$$) when I buy online. You don't have to get carried away here. Maybe a simple search of CraigsList or even eBay and Amazon. They likely have something to fit everyone's needs and budget. Please see our snow blower reviews page, where you can read more about individual models. More reviews are added every week! Good luck with your search. Read the articles here for more help and information. I'm sure you'll find the right used snow blowers for sale at the perfect price.